Hazardous Items To Cats! Hazardous Items To Cats! Household Items That Are Hazardous To Cats! As any cat-lover will know, our feline friends can get their nose into almost every corner of the house. From closets and cupboards, sheds to shoe-boxes, cats really do love a good nosy! ? According to the Royal Society for the Prevention of Cruelty to Animals (RSPCA), and its American counterpart, the ASPCA, human medicines consistently top the list of items responsible for poisoning cats. With curious cats at risk of popping pills that they find on bedside cabinets, bathroom counter, or just on the floor, owners should be careful to close their medicine bottles tightly and to store medication in hard-to-reach cupboards. Never be tempted to medicate your cat if he’s ill or in pain, for example, after surgery. According to DVM veterinary medicine magazine, cats have difficulty metabolising certain drugs, so what seems like a tiny dose to you can do irreparable damage to your feline friend. If your cat needs any kind of medication, always talk to your vet. The ASPCA has released a longer list of plants that are toxic to cats. 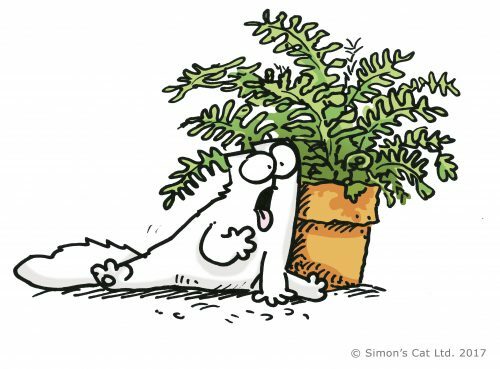 And, while you can’t stop your kitty from exploring their surroundings, you can use this list to help you pick which plants you’d like in your own home and garden. 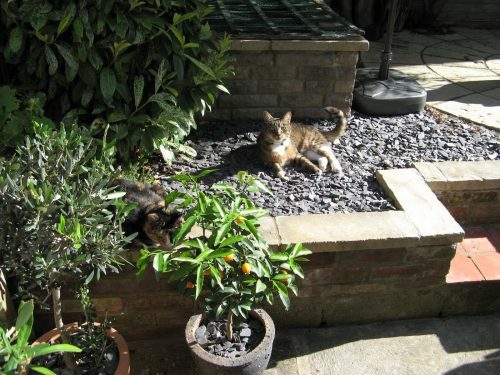 Maisy and Jess enjoying the sun in Simon’s new garden. Keep houseplants in containers out of your kitty’s reach. Pick up any fallen leaves or petals so your cat isn’t tempted to eat them. Keep a close eye on your cat when he’s indoors. Make sure your cat’s access to the house (say, through his cat-flap) is free from poisonous plants. Make sure your cat’s water supply is also free from hazardous plants; if your cat drinks from a bowl, change the water regularly. There’s no accounting for taste – weirdly enough, some chemicals taste particularly good to cats. To stop your furry friend getting the hunger pangs for something hazardous, keep pesticides, insecticides and household chemicals locked firmly away. In addition, the RSPCA advises that you put your cat in another part of the house when using chemicals indoors, and that you shut him indoors if you have to use chemicals outside – say in the garden or garage. Better to be safe than sorry! We all know how tempting it can be to give in to those big, sad eyes when your cat is begging at the dinner table. 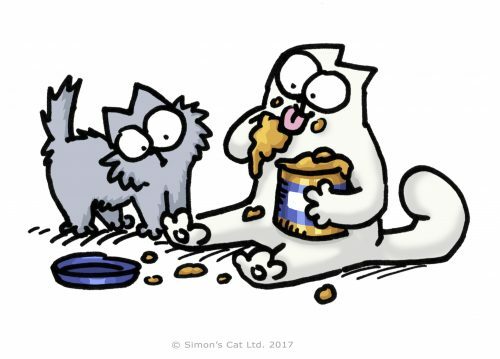 However, some delicious human foods can prove poisonous to our feline friends, so it’s best to avoid giving your cat snacks that are outside his normal diet. This list (from Pets at Web MD) can help you decide what’s good for puss, and what definitely isn’t! While you might be shocked to find one of the all-time favourite human foods on there – namely, chocolate! – this sweet treat can be particularly harmful to our furry friends. According to Catster, chocolate contains large amounts of methylxanthines, which, if cats eat lots of them, can cause vomiting, diarrhoea, panting, excessive thirst, urination, hyperactivity, and in severe cases, abnormal heart rhythm, tremors and seizures. Remember: if you’re in any doubt, or you think your cat might have been poisoned, talk to a vet immediately. 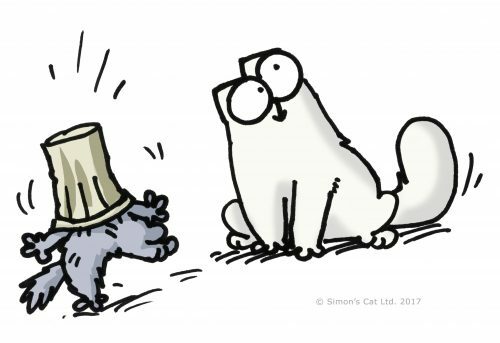 Don’t try and make your cat vomit, as this might do more harm than good – instead, search online for your nearest emergency cat centre or cat veterinarian. It’s impossible to keep your kitty out of trouble 100% of the time. All you can do is try to cat-proof your home as much as possible, so that your purry pal has the best chance of leading a safe and healthy life. Items that can choke your cat: small bones, dental floss, wire, toys with small parts. With a watchful eye and a little fore-thought, you can help your cat have a long and happy life. And while they’ll undoubtedly get into plenty of trouble, hopefully it won’t be anything too serious! ? ? Text written by Lorrie Harthorn. Don’t forget to SUBSCRIBE to our YouTube!